Nike plans to cease making wearable hardware and it has fired the majority of the 80-person team responsible for the FuelBand fitness tracker. Instead, the company will focus its efforts on fitness software, according to an unnamed source that spoke to CNET. The shoemaker isn't throwing in the towel on technology. Rather, it's turning away from hardware and realigning its focus exclusively on fitness and athletic software, a strategic shift that would still benefit the company in the long run, analysts said. As the competition in the fitness wearable category has increased with entries from Jawbone and Fitbit, Nike has opted to shift its focus to software. Company spokesman Brian Strong told CNET in an email that Nike continually aligns its resources with business priorities and that it has made changes to its team as its Digital Sport priorities have shifted. Nike is also opening an incubator called Fuel Lab in San Francisco to allow developers to create products that incorporate its workout metric NikeFuel and plug into a Nike+ API that'll come this fall. Nike's move away from wearables also comes as Apple's long-rumored iWatch is expected to come to fruition. Apple CEO Tim Cook is an avid wearer of the FuelBand and has sat on the Nike board for the last nine years, which has helped the two brands foster a strong relationship. A possible partnership between Apple and Nike wouldn't be out of the question as the athletic company was one of the first to show support for the iPhone 5s' motion coprocessor, debuting the Nike+ Move app alongside the iPhone 5s at Apple's media event. Apple also helped Nike enter the wearable market in 2006 with the Nike+iPod shoe package. Apple has also hired former members of the Nike's Digital Sport team, picking up former FuelBand consultant Jay Blahnik last August and Nike design director Ben Shaffer last September. Apple is expected to release the iWatch later this year alongside iOS 8 and the iPhone 6. Update 9:54 PM: Nike has issued a statement to Re/code indicating that it plans to continue selling and supporting the current Nike FuelBand and that it plans a "small number" of layoffs, but the company did not directly address whether development of any new hardware will continue. The language does seem to leave a lot of room, however, for the possibility that the Portland athletic apparel giant won’t produce future products in the FuelBand line. One source with knowledge of the situation said that it could be that Nike wants to be able to run down its inventory of devices, or that it still has not completely decided to shutter the unit. Sources have told Re/code that Nike has been debating for months what to do with the FuelBand line in the face of issues with financial performance and attracting engineers to work on the project. 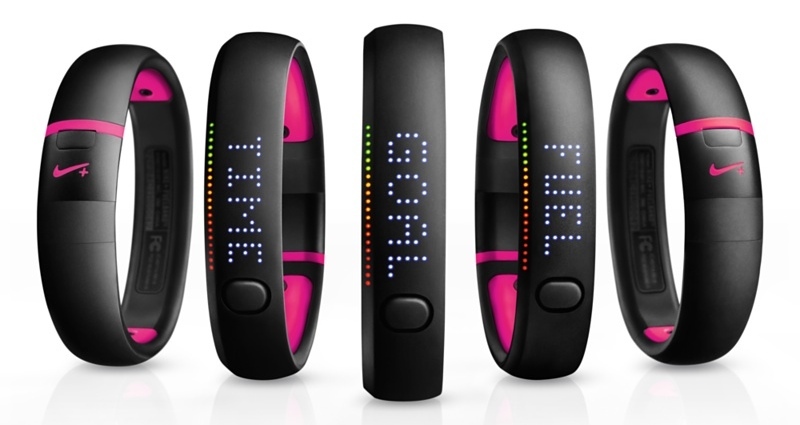 Next story: Apple Hires Entire Nike Fuelband Team! Maybe it was because people want real, universal data for their fitness, not some proprietary "fuel" point that doesn't really do anything. Well if this isn't a clear sign of an impending iWatch announcement, I don't know what is. What timing. Shut down the Nike Fuel band just in time for Apple to release or at least announce the iWatch at WWDC in June! Normally employees would be laid off in a case like this, not fired. That's because MacRumors is embellishing and every other tech site is saying laid off. Is this another NSCalendar bug that should have surfaced 1st of April? As far as I know the Fuelband has been hugely successful. Why stop producing something that people already care about when the future design of wearables is largely unknown or already missing expectations? I think this is a strange move, because the major advantage of the Fuelband was that you were not tied to one ecosystem. Really confusing... if you ask me. Fuelband only works on iOS last time I checked. Proof the iWatch will fail. The concept has already failed. Concept first, product second.